Good Morning, My Dear Friends. I hope this post finds you all well today. You may or may not have noticed, but I stayed off the radar for a day yesterday because of Monday night, I was stricken down by one of the worse panic attacks I have in several years. There is a thin line between an anxiety attack (that I normally get) and the panic attack that I endured the other night. 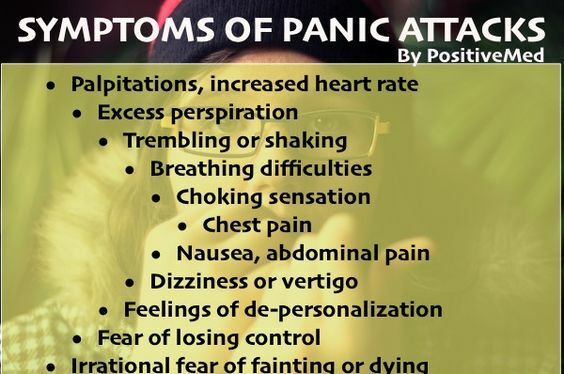 All the symptoms listed above was what I went through for close to four hours straight, and no matter what I did seemed like it was actually failing me. It’s Wednesday morning, and I still feel like a tractor-trailer ran me down. I stayed in bed pretty much the entire day yesterday because of nothing but pure exhaustion and being so sore from clenching down, and I woke up this morning still feeling worn out. When self-talk and other coping skills don’t seem to be doing the job, what do you do? Again, during an anxiety attack, I can pretty much get back some control, this panic attack was an entity that went from 0 to 60 MPH to the point of passing out from it. I really am curious, what happens or what do you do when self-talk and coping doesn’t seem to work for you? Today, I’m going to continue to rest and post here and there, but for the most part, I see myself resting for a majority of the day to try and shake this feeling of exhaustion away. First I’m so sorry that you experienced that, it sounds terrible. 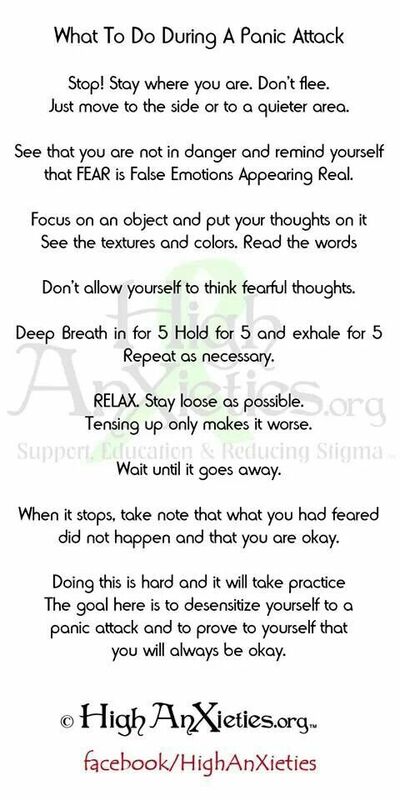 My therapist advised that proper breathing techniques can prevent an anxiety attack from morphing into a panic attack but you have to act fast. I can never remember the appropriate technique though and controlling my breathing makes me more nervous so I’ve learned that for me just putting my hands on my belly and breathing normally but into my belly will keep it from escalating. I hope this works for you too. If this panic takes place again, I most certainly will try that technique. Thank you, so very much for sharing. Panic attacks are horrible and more worse when you can’t figure out what I causing it. So rest easy today. As for doing something alternative to what you have done, I don’t really have any suggestions. There were a couple of occasions the same thing happened to me and the techniques to ground one self as you have already mentioned failed me. My attacks were not as bad as yours, but I was glad to be our of them. The only difference is, I knew what triggered mine, as mine were 2 years ago when facing it head on in counselling. Thank you so much, Liz. I wasn’t feeling right for a few days leading up to it and was depressed, but I didn’t see that train coming down the tracks as fast as it hit me. Just going to take it easy today. I think sometimes it can be hard to see it coming. When it happened to me, I still just take it as a learning curve, even if I don’t have answers and hope that next time if something happens similar, that it’s not as bad. Im sorry you have to go trough this and hopefully you will find the best tools to handle this. For me the breathing is a must. And focus on things I can smell, touch and see. I don’t fight it, rather let it come and ride it off. Since I travel every other month by plain I get many attacks and some are hard thousands of feet up in the air . It’s pretty hard yes, but I manage somehow since I have to. Oh, I do understand that. Im so sorry. Im glad you’re taking good self-care. You are in my thoughts Beckie. Our daughter has anxiety, panic attacks and is frequently exhausted. Thank you for describing your experience as it helps remind me how difficult coping with GAD is. Thank you for your thoughts. I don’t wish this on anyone. It is bar far the scariest thing to go through.